Cook had worked for Nike in the USA from 1996-2008, becoming head of the “Brand Jordan” project alongside basketball mega-star Michael Jordan. 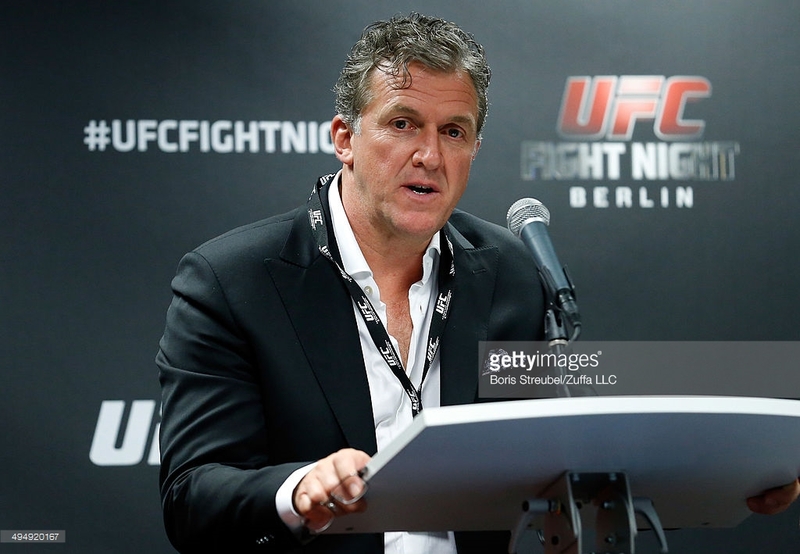 On joining Manchester City in May 2008 he was given an annual salary in the region of £1.5 m. In September 2012 Cook was appointed Executive Vice President and Managing Director of Europe, Middle East and Africa for the mixed martial arts organisation, UFC. He rose to the position of Chief Global Brand Officer. He left UFC in October 2016 following a series of staffing cuts. Cook is a highly experienced executive, used to working on a large scale, with equally large budgets. Put simply, why would he get involved with Latics? According to the club site Cook is to be a non-executive director, assisting part-time, “helping the Board of Directors with strategic planning and long term objectives”. But what does that really mean? When Cook refers to “developing the next chapter for Wigan Athletic”, what is he referring to? Even to the impartial observer, Cook’s appointment would appear to be a win-win for Wigan Athletic. Given a seeming reluctance to pay top whack to people involved in the running of the club, it is unlikely that Cook will receive the level of remuneration to which he has been accustomed, even allowing for the fact that it is a part-time position. However, following a six year absence from English football Cook might well want to get his foot back in the door, foresaking his normal monetary expectations. But what can we expect from Cook? If Cook is given a fair crack of the whip – “if” being the operative word – we can expect some changes in the strategic direction of a club that has had too many ups and downs since that eventful day in May 2013. The turnover of managers in the past four years has been disturbing. That of players even more so. Last season Wigan Athletic had the biggest turnover of players of any club in English football’s four divisions, mirroring what has happened too often in recent years. Over those years the choice of managers has been haphazard, the more successful ones being sacked so little time after doing so well. Others have been appointed that the discerning fan could see were ill-suited from Day 1. Player recruitment has been an area of great concern. Too much money has been spent on players who have not made the grade, sometimes not entirely their fault. Long term contracts have been offered to players past their best, seemingly up-and-coming signings have so often disappeared from view. In a business sense the dealings in the transfer market, including money paid to agents, have left much to be desired. Given this backdrop, Cook’s input would surely be valuable. Cook was heavily involved in player recruitment at City, albeit on an elevated plane, but he also had a major input on infrastructure and the commercial side. Even when Latics were in the Premier League commercial revenues were low compared with other clubs in the division. They remain so. In terms of infrastructure, the development of an academy, potentially capable of providing players for the senior squad, remains a work in progress. The club’s purchase of the Charnock Richard golf course was upstaged by the Whelan family’s acquisition of the ex-Bolton Wanderers training facility at Euxton. The club owns neither its main training ground nor it stadium. When Dave Whelan took over the club in 1995 his vision of Wigan Athletic being in the Premier League was to provide direction for the club in the years that followed. Following the FA Cup win and relegation there has been no overriding direction. Put simply, the club needs to come to terms as to what it is and what it could be. A clearly defined, well -articulated vision for the future could provide the driving force for improvement in the operations of the club. Garry Cook clearly has a lot of nous to bring to the table of the Wigan Athletic Board of Directors. However, it should be noted that Cook was appointed at City by Thaksin Shinawatra and was instrumental in bringing in Sheikh Mansour’s money to buy the club, in poor financial shape at the time, for a figure around £150 m.
Latics supporters continue to speculate on the influence that Cook will have on the club. Is he there to provide the kinds of ideas that can move the club forward, developing a strategic plan? Or is he there to make the club more marketable, then find suitable future investors? Is it a signal that the Whelan dynasty is nearing its end? In the meantime we can but ponder on what the next chapter for Wigan Athletic enabled by Cook might be. I do agree we need more experience at board level but I wonder if this is the right appointment. To me, he doesn’t seem to be a good fit for Wigan Athletic. His experience of multi-national companies and multi-million pound transfers is great but don’t we need something different? Will he really understand how we work as a small-town club that’s been punching above our weight for two decades. I hope it brings lots of positives but I won’t be surprised if there is a parting of the ways at some point with no great positives from the move.